Bringing a bit style to my deliveries are the baskets the I use. I have tried my best to make a sustainable, stylish solution to delivering to the chefs of Hawaii. 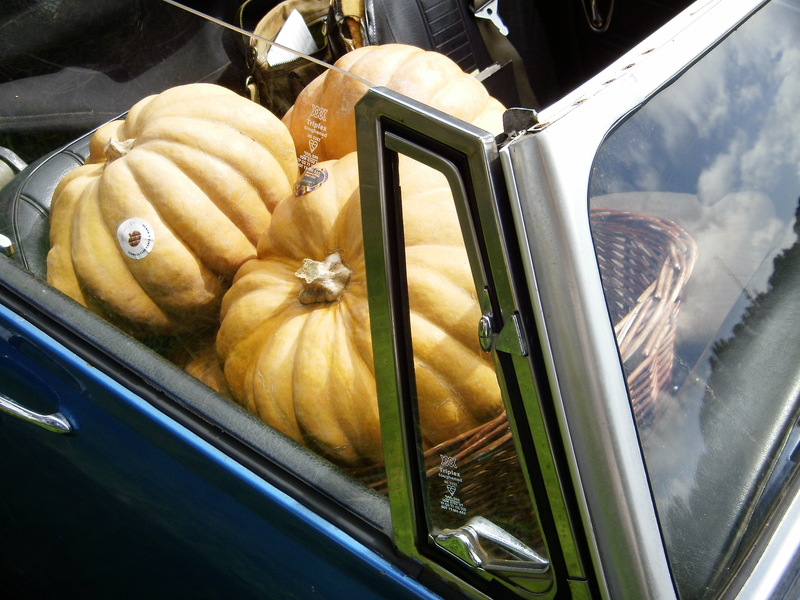 They have loved the vintage style that both the car and the baskets add to their day. I have even been asked to leave my ol’ little car out in front of Merriman’s restaurant at their 25th anniversary party. 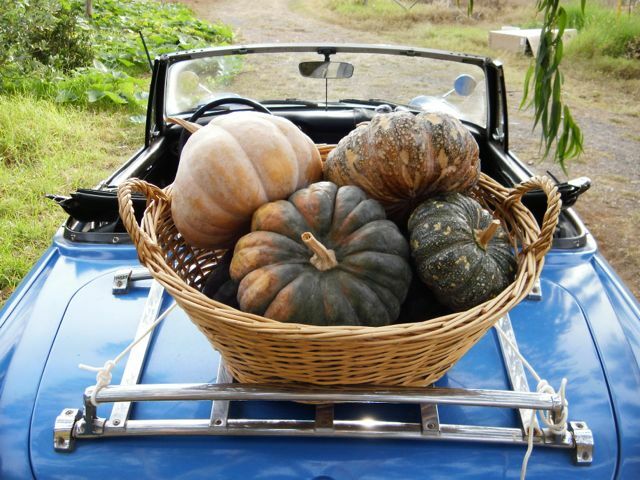 Both “Pixie”the car and the delivery basket brimming with squash are featured on this month’s special 4-course squash menu at the Hapuna Beach Prince Hotel. Both examples prove that an inexpensive, stylish, zero-waste solution comes in ahead of mainstream produce marketing. Rethink your marketing and delivery system and you may win by creating a big cost savings for your farm, and a meaningful connection with your customers. Do it your own way…guerilla style. 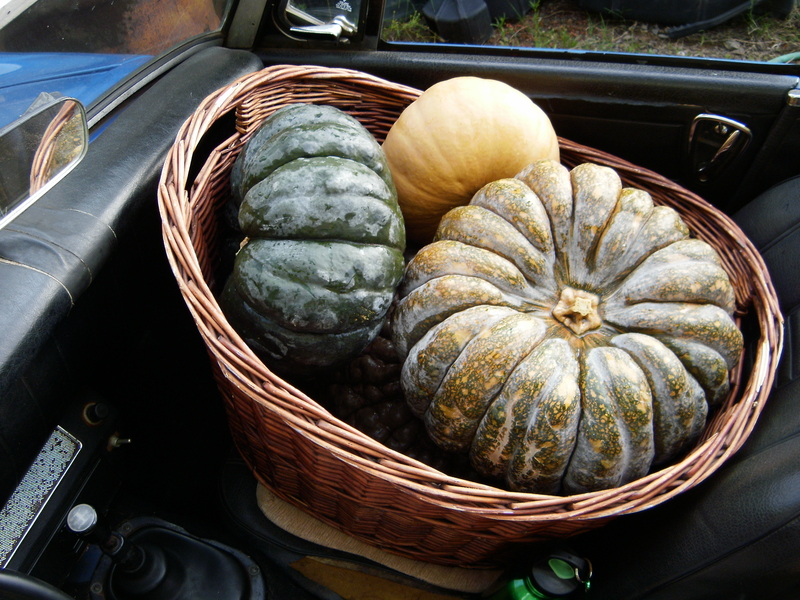 Previous PostThe Gettles of Baker Creek Heirloom Seeds Visit Farm!